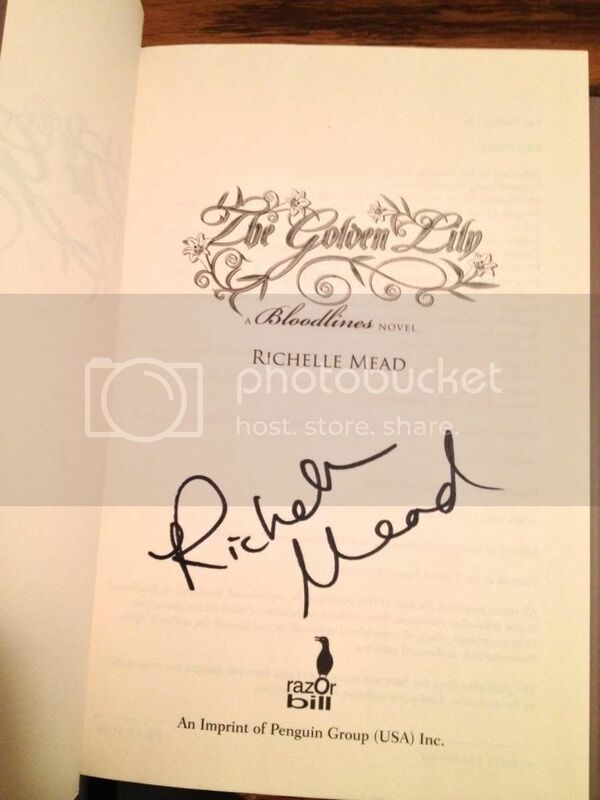 Are you a fan of Richelle Mead? Are you excited about the release of her upcoming book, The Indigo Spell? Would you like to win a signed hardcover copy of her previous book in the Bloodlines series, The Golden Lily? If you answered yes to all three of those questions, you've come to the right place! 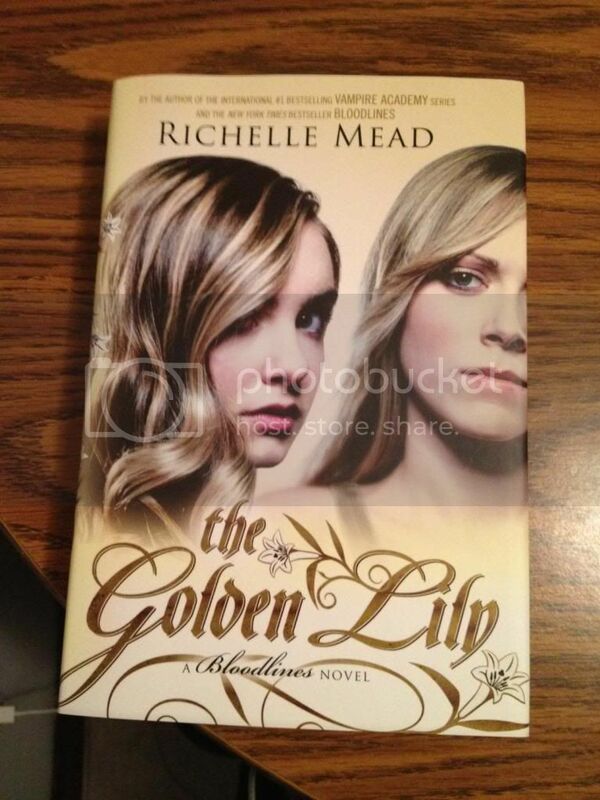 I've got a signed hardcover copy of The Golden Lily up for grabs to one lucky winner. I picked this book up last year when it was released for a friend and had it signed, but she ended up with a copy of her own, so I held on to this one, figuring I'd find a good time to run a giveaway for it. Just use the widget below to enter to win, and be sure to stop by my friend Irish's blog, Ticket To Anywhere. She's running a contest for a finished copy of The Indigo Spell right now! The slow building of the romance is one of the most genius things I have ever read. Every moment, every hint had me with my fist to my mouth and trying not to squeak with too much excitement. I actually haven't read them yet, but I am dying to!! !